eBay is rolling out a new payments requirement, and not only are some sellers upset - some buyers aren't happy about the new policy either. Contributing to the controversy is the fact users say eBay has not notified them about the change. The issue of Immediate Payment Required (IPR) came up during eBay's weekly chat session on Wednesday. A seller said he had been "pulled back into an old Beta test" that forced him to require immediate payment on all Buy It Now (BIN) listings, which forced shoppers to use the checkout cart to request a total for combined items. "We tested this a ways back but have recently made changes to help in our efforts of reducing Unpaid Item cases. There isn't an option to opt out of this feature but I encourage you to have your buyers use the cart and ensure your combined shipping rules are set up so that it's automatically being combined for your buyer." "Due to feedback from our sellers, we want to limit the number of non-paying buyers and in order to do that, we're pushing them through the checkout flow before showing the item as purchased/sold. We understand that it can impact some businesses more than others and we've shared that feedback with the relevant team." One seller questioned eBay's premise that sellers had requested the change, reminding the moderator that sellers already had had the option of requiring immediate payment. "Ummmmm ...... that function is already there for the SELLER to choose, not to have eBay choose it for them." "Immediate payment is automatically required on items priced below $1000, that have a specified shipping cost, and where PayPal is the only payment method offered." "We are still in the process of rolling this out to every seller. While I do not have specific timeframes for when this will be expected to be completed, more and more sellers will be moved over to the new process as time goes on until 100% are included." It appears to be a poorly communicated change from eBay applied in an inconsistent manner. But will it benefit sellers by reducing the incidents of deadbeat buyers? I'll probably be the lone dissenter, but I liked being able to give my buyers a few days to pay. Since I combine shipping, it often gives them incentive to shop over a few days and I get lots of payments on Fridays. To me, it's a perk that only eBay can offer since other retailer sites are pay immediately. Of course, I understand that many sellers don't look at it that way and want their money immediately. To each their own. But am I surprised eBay is rolling this out? No. Read the boards. For years sellers have complained about slow paying buyers. Ebay is finally listening. I just wish eBay would communicate these things instead of surprising sellers and buyers. More eBay meddling in our business! Right now I have a choice for immediate payment I choose NOT to have them. I only get like 1 in 100 that are non payers. It's just another money grab on sellers without combined shipping rules. Sometimes I hate my GREEDY business partner. . .
A well communicated change by eBay applied consistently? Now THAT would be news. But this one, as reported, that even singed Tool's pom-poms, is just another day on the Bay. Eliminating choice, increasing inconvenience, taking all users by surprise, all spun up in the 'we listened' wash with reluctant explanation post implementation by decree - that's the eBay way now. Although I am phasing ebay out after 17 years mostly as a powerseller with $150-$200K annually in sales I never minded giving time for payment and having the option to use immediate payment when it suited me. Reducing options and not informing its customers, the sellers, is something ebay excels at. While I too am in the minority - I have immediate pay on every item to reduce on paying buyers ..... what's wrong here is AGAIN - eBay's bad behavior. Just act like a big boy and put the change in the mid seller down date. Why is eBay always afraid to be honest. Being honest and forthright just isn't in their DNA. The TRUTH is (of course) that it's got nothing to do with pleasing sellers. Truley "any port in a storm"
So adding optional payment methods will disable the IPR. Check another option, like "local pickup." As a Seller, this won't affect me, since I run 90-95% auctions, and all the FP items I do have are already immediate payment. As a Buyer, however, I do NOT like this. I try to buy multiple items from a single Seller, to cut down on shipping costs, averaged over the whole lot of items I buy from them. And I've had nothing BUT problems getting Sellers to eliminate their immediate payment requirement in some of their auctions before I try to buy more than one item from them. While sometimes, they are clueless as to how to do it, it seems that many, MANY times, they seem to be unable to do it, even though they go into the auction "bones" and uncheck that requirement, knowing what they are doing. It never shows up here, and I'm still routed to PP when trying to Buy It Now. Maybe this is why I've had lots of problems with this. eBay may have been rolling this out for some time now, without telling us. Most of the problems I've had have been in the last couple months or so. And the cart? That never seems to work correctly either. I always seem to have the Request Total (where the Seller can invoice and put in a new total for a single shipping cost, instead of multiple ones) grayed out, and unavailable to choose. And, it's going to cut WAY down on my buying. Smart thinking, dunderheads. It appears to me that Ebay could not figure out a way to help sellers battle non paying buyers. That is what the sellers have been asking for. Help to control this growing problem. So since they couldn't figure out what to do they came up with this not so bright idea and say it is because we asked for it. NO, we sure didn't ask for this as it was an option we already had. If sellers thought this was the solution to the problem, we would have just done it a long time ago. So here we go again, Ebay making decisions for us that they have NO business making. If I wanted IPR on a listing, I'd put IPR on that listing. I don't need or want Ebay to FORCE IPR on my listings. If the seller offers free shipping on all the items purchased in a multi-item transaction, there should be no discount on mailing. And if they can package everything in one box, more profits would be made than mailing each piece separately. But if there is a shipping cost on everything, the buyer will be charged full price each time. The seller can apply a shipping discount and refund the difference later. Of course, any good seller will rebate the excess when combining purchases. Problem here is eBay still will collect their 9% commission on the total cost, even after the overpayment is refunded. So there is a method to the madness. Perhaps they are nudging all sellers to offer free shipping. Also, when a buyer does not place the items into a shopping cart and buys each separately, PayPal gets their transaction fee on each purchase. Whether or not you charge the buyer for mailing, the item with the lowest total cost most always gets the sale. And very rarely on items with free shipping do I get a request to reduce the price if multiples are bought. So, for my business, not charging for mailing works well. And equally as rare is the buyer who asks for a combined shipping discount BEFORE planning to purchase more than one item. I wonder if random unannounced changes affected their eBay paycheck...would they just say ''ok....we will wait until the 'relevant team' decides on the outcome''....OR....would the earth crack in half because their paycheck was being affected. Hmmm....I wonder which would occur with eBay employees. It's real easy to do these things when it does not affect you. Again, no skin in the game...so whoopdee doo! I had 2-3 NPB's in 19 years. None in first 15 years. Buyers don't like to be FORCED! Leave them ALONE!!! As others have said, sellers with the type of mdse, that doesn't need IPR, ALREADY just don't require IPR. Ebay has poor analysis & decision making throughout their management. And they are afraid to give buyers strikes to solve bad buyer issues. Not giving strikes quickly teaches buyers how far they can go, exacerbating the problem. —Poor management is responsible for the above CHANGE IN POLICY. —Poor management is responsible for the WAY THIS WAS DONE. —Poor management is responsible for ALL THE EBAY DECISIONS. We've all said it before: WHERE, do they find these people??? So the way I'm reading this is if I offer local pickup my customers WON'T be required to pay immediately for BIN items. If that's so it's an easy fix. Local Pickup OK, being I'm in the High Desert I don't get many requests for local pickup. . . It appears I'm in the minority this time. If I walk into a retailer and want to buy something, they're going to want to be paid. MAYBE they'll hold it for a few hours, but probably not. My non-paying buyers are nearly at 7% this year. It's crazy. It wastes my time and the time of people who are going to pay for their purchases. No other site works this way, and now that Ebay's eliminated non-payment strikes buyers take it even less seriously than they did, which was not very. I do think if eBay is going to IPR on everything, eBay needs to fix the shopping cart first, then make its use mandatory, before implementing IPR across the site. Just make immediate pay default. Why so complicated. Oh, there's a ''way''. However, despite boasting how they 'listen', they have refused to 'hear' it. For years now. Simply require buyer input of their payment means as a condition of their membership, or PRIOR to allowing any buyer to make a purchase if a guest. Then, regardless of sale method, if a purchase is defaulted - per SELLER variying requirement that suits THEM - assess a non-payment penalty. They can even split the proceeds between seller and eBay. Of course, eBay's concern is that this would imperil membership growth. Doesn't seem to impact the other 'buyer's club' discount chains though; they line UP to obtain membership eligibility to buy. The same holds true for ANY 'membership privileges based entity. People do not want to be excluded if there IS value in something. eBay devalues their 'membership' though. Thus, so do those who would only sport the venue. Moreover, of what use is a non-paying buyer 'member' anyway who treats the venue like some video game? Oh, that's right. The STREET wouldn't know the difference. 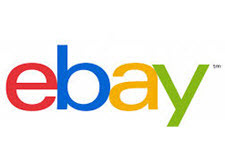 eBay dare not reveal that particular aspect of the level of sales defected by buyer default. Wonder if they plan to share any of this topic's 'feedback' with their 'relevant teams'? What the HECK is the UPROAR over Non-Paying Buyers? Out of over 9,000 sales I've had FEWER than 10... count 'em TEN Non-Paying Buyers and after a NUDGE thru eBay that 10 fell to 3 who actually NEVER paid. 3 out of 9,000 tells ME that this whole rigamarole is a Tempest in a Teapot. Let me assure any of you how do NOT sell MEDIA ITEMS that this is a disaster in the making. Why is MEDIA different? Because individual DVD movies cost less than $4 each to mail out WITH TRACKING using First Class Package Rate to EVERY single USA zip code from GUAM in the west to Puerto Rico in the east. FIVE POUNDS of DVDs cost less than $6 to mail to all those same zip codes and only the SELLER should have a SAY over what type packaging and how much to DISCOUNT the ridiculously $high price that eBay Freight Calculator BOT changes on multiple DVDs EACH one set as First Class Package mail. TOMORROW I'm mailing out 2 Very Heavy Seasons and 2 more standard weight DVD movies in a single CARDBOARD BOX with suitable packaging. $5.89 covers ALL of them when 1 by 1 the postage would have been right at $12-ish. This is an UnNeeded Solution in search of a Mythical Problem. @Scotty may have blundered onto WHY eBay is soooo anxious to cure this non-problem. I smell the STENCH of Global Shipping Progam as being at least PART of why the D*mn the Torpedoes Full Speed Ahead rush to MAKE buyers pay for their purchases ONE by ONE. One of the DISASTROUS drawbacks to GSP is that only ONE line item can go out in EACH GSP package. Buy 4 different DVD movies from a seller who thinks GSP is a GREAT IDEA and the unlucky would-be buyer in Europe is faced with FOUR shipping purchases, FOUR boxes in transit, and FOUR bites at the Apple of charging for inbound Customs' to THAT buyer's own country. (For those who do NOT export it is news to MANY that even GREEDY countries have realized it isn't worth the hassle to charge and COLLECT Duty on items BELOW a certain Value.) News to even MORE is that the GSP automatically bills for AND COLLECTS duty even when / IF the value is such that the DESTINATION country WAIVES that Duty Fee and does NOT collect for it. By the Way. REFUNDING buyers AFTER they have paid is a losing proposition. There are myriad ways that refunding $ can rise up and bite one's posterior... not limited to CHEATERS who buy fully intending to then start a REQUEST to return for Item Not as Described. If a REFUND were to have been made outside of eBay... that sort of scammer would get their FULL payment back even though the unthinking SELLER already sent them $cash back via PayPal. Lose. Lose. Lose. is NOT the Road to Riches. This really isn't an unannounced change, a forgotten change, but not unannounced. About 2 years ago Ebay announced this change and they were starting to phase it in. Sellers started yelling LOUD about it and how it was messing up multiple sales quite badly. Sellers were losing a lot of sales over this. So Ebay stopped without saying a word to sellers. But for me, I was just really happy it had not affected me. Now they are back with this stuff. I'm not defending them. They should have re-announced this lousy plan and tell us it was back!!! Yes, changing to local pick up will exempt you from the IPR mandate, but really its not a good plan to avoid it. You will lose a whole lot of buyers that will look and see local pick up only. They will know they don't want that and just move on without emailing you or anything. No matter what you put in your listings telling them otherwise. Just wait. Don't fight it yet if it hasn't affected your account yet. Maybe we will get lucky, if we yell loud enough, everywhere we can, maybe they will stop it again. If you like IPR you don't have to wait until Ebay forces you into it. Just change your listings to require IPR. The problem many of us has it Ebay is touting this as a solution to the non paying bidder problem. They need to stay OUT of my damn listings and let me decide what is best for my business. Right now if we want IPR on a listing we can put IPR on the listing for those that qualify. Forcing us to use IPR because EBAY FEELS it will benefit us is stepping WAY over the line. I'm a big girl and if I want IPR and can put IPR on my listing myself. I don't want or need Ebay to force me into it, nor should they. I think it is great that you like IPR. You can do that all on your own without Ebay's interference. Why would you like them to force you to use it when it has been available for you to use for years? They DON'T need to force us to use a function we have had available to us for years. Maybe a campaign to try and get more sellers to use it, but they absolutely are seriously over-reaching.